If Clyde River youth have trouble remembering traditional place names for locations surrounding their community, help is just one website away. 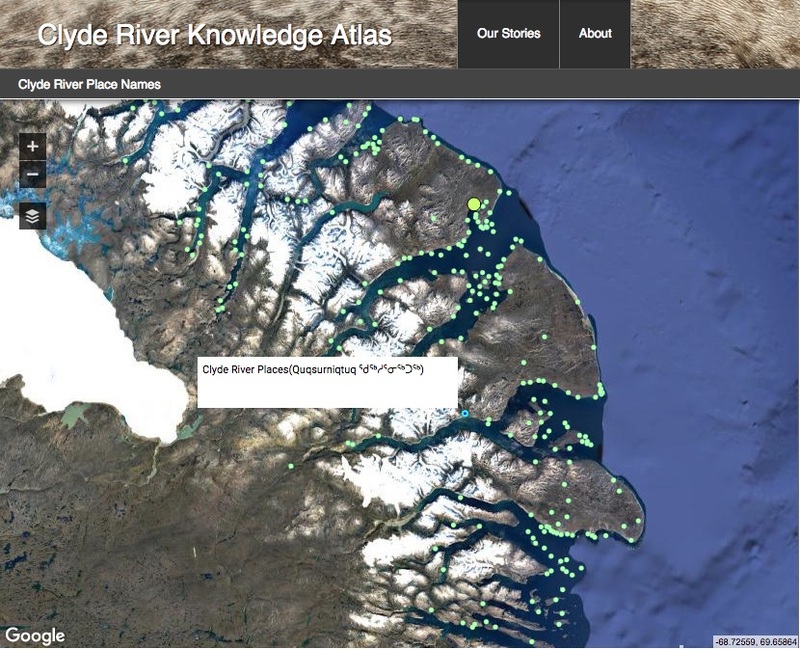 The recently launched Clyde River Knowledge Atlas combines Google’s satellite maps with the knowledge of the Nunavut community’s elders and hunters. Load up the map and you’ll see the area surrounding Clyde River marked with more than 300 green dots. Tap on one, and you’ll hear the place name pronounced in Inuktitut, while a pop-up window shows the name written in both syllabics and roman orthography. Mike Jaypoody with Clyde River’s Ittaq Heritage and Research Centre says this knowledge can be important if you’re out on the land and your snowmobile breaks down, and you have to radio for help. As well, traditional place names also help remind Inuit youth who they are, he said. The atlas was first publicly unveiled during the ArcticNet science conference in Ottawa in December. 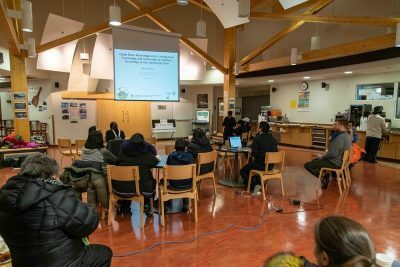 More recently, a public meeting held in Clyde River on Jan. 23 attracted about 45 people—not bad, considering it was a cold day, and the gathering was held in an out-of-the-way location, said Jaypoody. The atlas remains a work in progress. 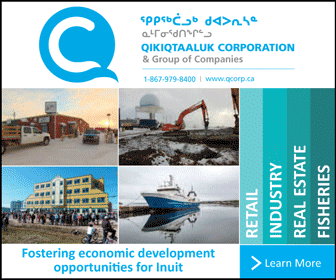 One focus over the next year, said Jaypoody, will be to translate more of the website’s pages into Inuktitut—as things stand, most of it is only available in English. The number of place names listed in the atlas will also likely continue to expand. What’s there now was built on the work of the Inuit Heritage Trust, and then expanded upon through interviews with residents. “We’re fortunate to be able to work with local hunters and elders in the community,” said Jaypoody. Another forthcoming feature will showcase interviews done with elders out on the land, near the remains of traditional sod houses, “so that we can have a better understanding of our ancestors, and actually see a physical sod house location,” said Jaypoody. Other features of the atlas also remain under development, such as options to view historical data on weather and sea ice conditions. Work on the atlas began in 2015. Jaypoody, who is a cameraman, video editor and filmmaker, is described by the atlas’s website as one of the project’s driving forces. 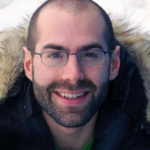 Another is Robert Kautuk, a photographer and drone pilot. Shari Fox, a researcher and long-time resident of Clyde River, co-founded Ittaq and works on funding proposals, research, and coordination. A local steering committee also includes Albert Panipak, Jerry Natanine, Aimo Paniloo, Sandy Kautuq and Apiusie Apak. The project has received training and technical support from Amos Hayes and Robert Oikle of the Carleton University’s Geomatics and Cartographic Research Centre, and from Peter Pulsifer of the Exchange for Local Observations and Knowledge of the Arctic. 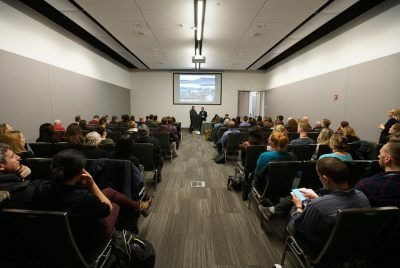 The atlas project has received funding from Tides Canada and Indigenous and Northern Affairs Canada.